I am a huge smoothie fan. They are incredibly easy to make and super fast to whip together in the morning before heading off to work. I can just blend it up, put it in my cup, and head to work. What makes my morning smoothie even better is knowing it's packed full of good-for-you ingredients. I was sent a canister of All Pro Science's Complete Veggie Protein to try out. One way for me to know if a protein powder is worth it is is to see how it tastes in my smoothie. If it's smoothie-approved, then it's a winner. 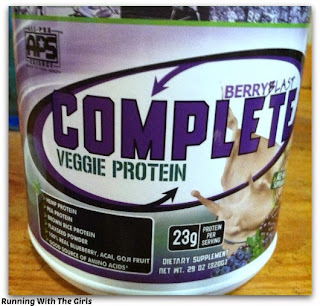 What's special about APS Complete Veggie Protein? It's a gluten free blend of hemp, pea, and brown rice proteins. Contains zero artificial flavors, sweeteners, or fillers. I tried the Berry Blast, which has all of the additional benefits of Goji berry, Acai berry, and Blueberry fruits. All of them excellent sources of anti-oxidants. APS put to the test with some of my favorite types of smoothies. Ingredients: Coconut water, frozen mixed berries, 1 scoop of APS. Ingredients: 1 cup of almond milk, handful of mixed berries frozen, 1 scoop of APS. then add in banana and 1 scoop of APS. Ingredients: Cherry Juice, Vanilla Almond Milk, 1 scoop of APS. APS passed with flying colors. Every single smoothie tasted great. What I really liked about APS is that my hunger didn't creep up on my around 10:00. The smoothie really satisfied me and kept me from feeling famished. To me, that's a rather important feature with a protein powder. Another one is to not be incredibly sweet and full of fillers. APS nailed it again. Not only am I loving APS, my kids are too. We're reducing the gluten in our diets and focusing on increasing the veggie consumption. Somethings that's a real challenge in our house. However, with APS, I know my kids are getting a great source of the essential vitamins and nutrients. And they are happy with it! You can purchase APS here or visit any of these stores/websites. The kind folks at APS have shared a 40% off code for my readers - RWG40! Also, for product information about APS, follow them on Twitter and Facebook. If you think about it, tell them I sent you over to say hi! Disclaimer: I was sent a canister of APS Protein Powder to sample. All opinions expressed on my blog are 100% my own. all your smoothies look so good. I don't usually have them for breakfast usually as an after workout snack. Maybe I will try one this morning. I'd say it's a nutrient packed meal - that I love to choose for breakfast due to the convenience. I've used many protein powders before and this one is all natural. So glad you like it Jen, I am looking forward to trying it soon too. I've searched high and low for a supplement that is all natural. 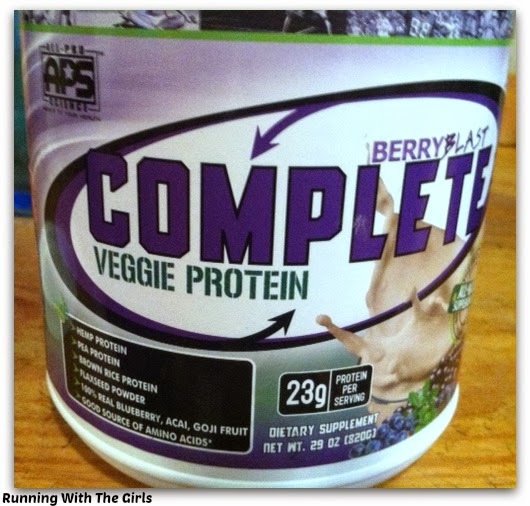 I'm trying to eat cleaner, so I couldn't see the point in putting back in a supplement that wasn't "clean." I'm definitely going to try this! I love the twist silver with cobalt elastic. So cute!! I have yet to try Kale in my shakes. I've done Spinach though. But, must try the Kale!